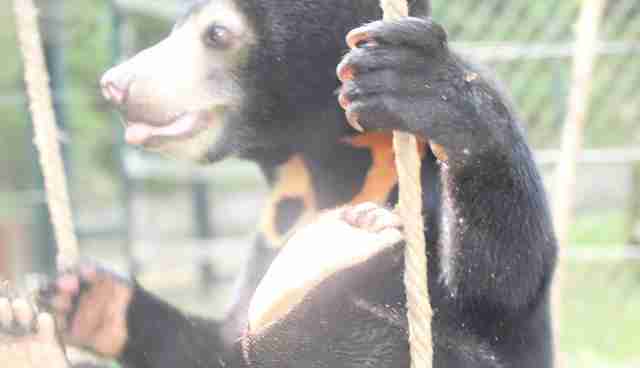 Sun bear cub Layla arrived at Animals Asia's bear sanctuary in June 2014, a tiny cub poached from the wild. She was destined for a life on a bear bile farm in Vietnam or China suffering regular, painful bile extraction for the rest of her life. 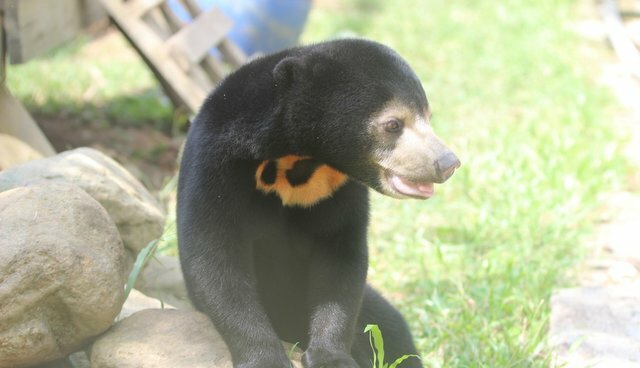 An estimated 12,000 sun and moon bears are believed to continue to suffer on such farms - fuel for an industry that Animals Asia is dedicated to closing down for good. Thankfully for Layla, she was rescued and began her second life at Animals Asia's Vietnam Bear Rescue Centre where more than 100 rescued bears receive lifelong care. Since her arrival, Layla has grown to nearly 38 kilograms (approx. 84 pounds) and long outgrown her first enclosure. She's now happily housed in the spacious cub enclosure of which she has explored every nook and cranny. She knows it so well, that it took her no time at all to notice the hidden camera we'd set up. Of course, seeing that the mystery box posed no harm, she then happily set off on her mid-afternoon forage. "Seeing Layla explore her enclosure is an absolute pleasure. She's clearly very comfortable with her surroundings and in the speeded up 20 minute video, plays with just about every object in the enclosure. "As Layla is too young and small to be safely integrated with the main sun bear population at the sanctuary, it's important to keep her stimulated. Her twice-daily forages are a very important part of that, as is the constant rotation of new enrichment items and the upkeep of play structures in her enclosure. It's a lot of work for the team, but more than worth it to see such a healthy, happy cub. 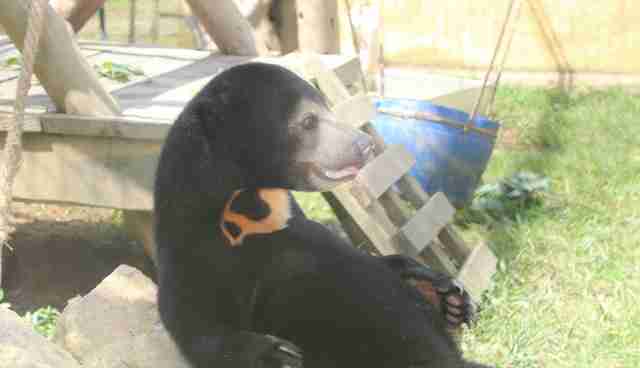 "Our great hope is that Layla can be integrated with neighbouring sun bear Sassy in the next few months. The two interact daily in their dens and we're watching their interactions very closely. It's very important that Sassy is ready to meet this energetic juvenile and that Layla is ready to be with an older, larger female. There are no guarantees, but ideally Layla will soon been sharing her enclosure – and showing Sassy everything she's found there!"